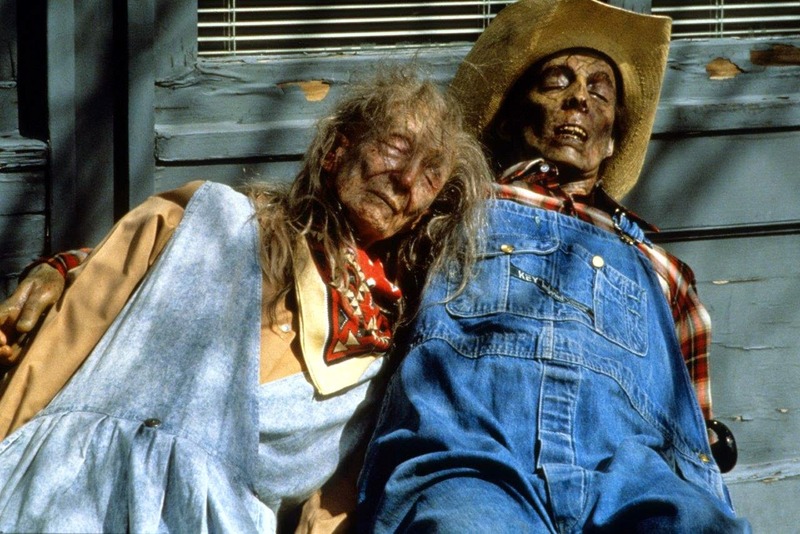 The end is nigh on Horror Channel, as Saturday nights in April are taken over by rabid cannibals, zombie humanoids, mutant insects a deadly plague and monsters in the mist – in an Apocalypse Season which focuses on a world-ending selection of catastrophic classics. Introduced by a zombie-busting Emily Booth (pictured left), fans of the genre will be treated to the UK TV premiere of the Canadian seat-edged shocker THE DAY (Sat 11 April, 10.50pm), the Network premiere of Robert Rodriguez’s zombie exploitation epic PLANET TERROR (Sat 18 April, 10.50pm) and the network premiere of monster survival thriller THE MIST (Sat 4th April, 22.50pm), which is based on Stephen King’s novella. Plus there is Stephen King’s mini-series THE STAND, starring Gary Sinise and Molly Ringwald, which airs on Sat 4 April to Sat 24 April at 9pm. Completing the season Is DAMNATION ALLEY. Horror Channel’s favourite queen of screams, Emily Booth, is also set to star in a post-apocalyptic horror thriller, SHED OF THE DEAD, directed by Drew Cullingham, which will shoot later on in the year. Emily said today: “I've always loved those bleak bold films that explore mankind's own destruction - it's a very potent theme so I'm really looking forward to our new Apocalypse season and more importantly introducing such amazing films like Planet Terror and The Day from a genuine ex RAF military base! Plus, I'm going to be appearing in a new UK zombie apocalypse film, but do I survive? Watch this space”.